In our quest to provide you with only the very best quality fish sauce, we've tasted dozens of brands, and for years we've found Tra Chang to consistently offer the finest product. It was no surprise then that when we visited in person to learn about their methods, everything was immediately clear. 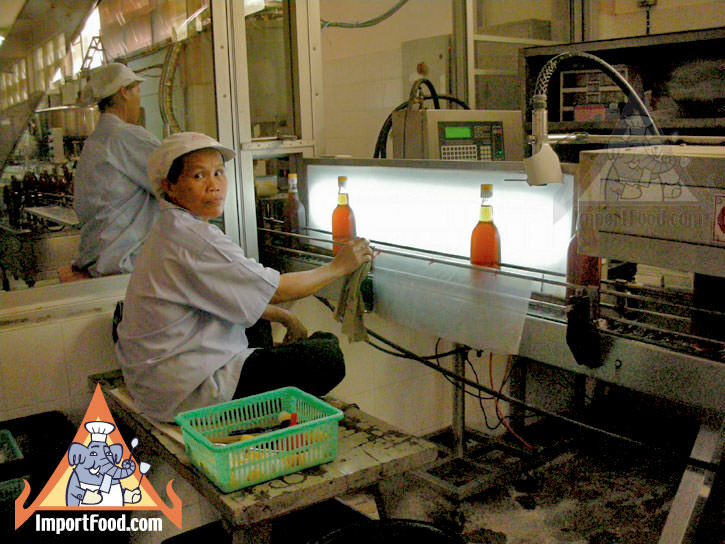 In this report we offer the first ever "inside look" at how fish sauce is made, from the catch to the fermentation to the bottling. We hope you enjoy this information, and please feel free to link to this page, but please do not use the images or the text here for any purpose. 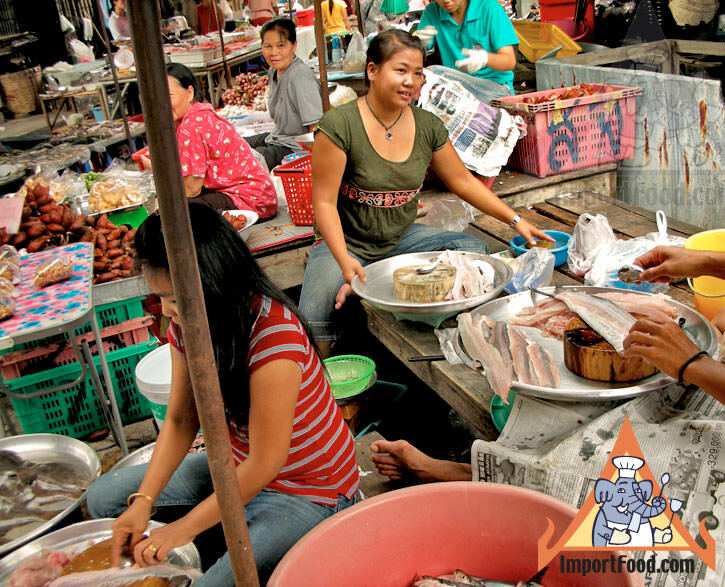 See more in our series of Thai street vendors, and authentic Thai recipes. The reason for the excellent flavor of Tra Chang starts with their location. 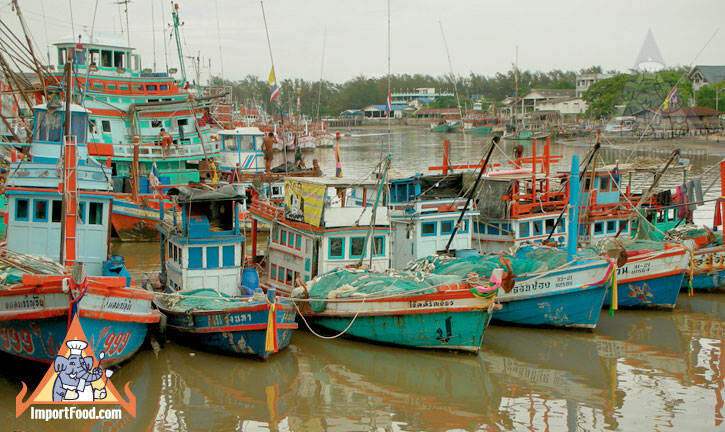 Tra Chang is based right on the pier at Rayong in the Gulf of Thailand, where every evening at 8:00 PM dozens of aged, wooden ships depart with well-prepared nets and experienced crew, to return at 6:00 AM the next morning to offer their catch at the market. 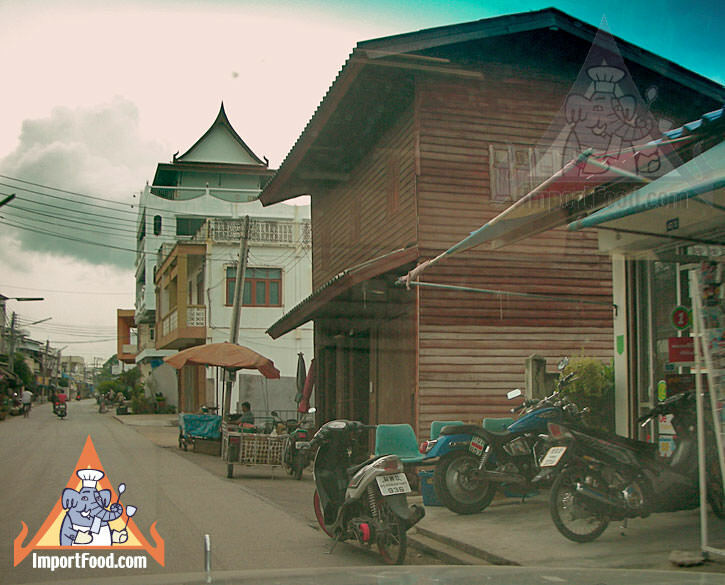 Rayong is a true fishing town, small streets lined with old teak homes--the town is loaded with precious history and still today everyone's livelihood is tied to the fish (see city and market photos below). The daily catch of achovy fish alone is approximately 100,000 kg, so there is no shortage of fish coming in each morning. Tra Chang has been in business over 40 years, and the patriarch of this family buys only the very best anchovy fish to start the process of making fish sauce. 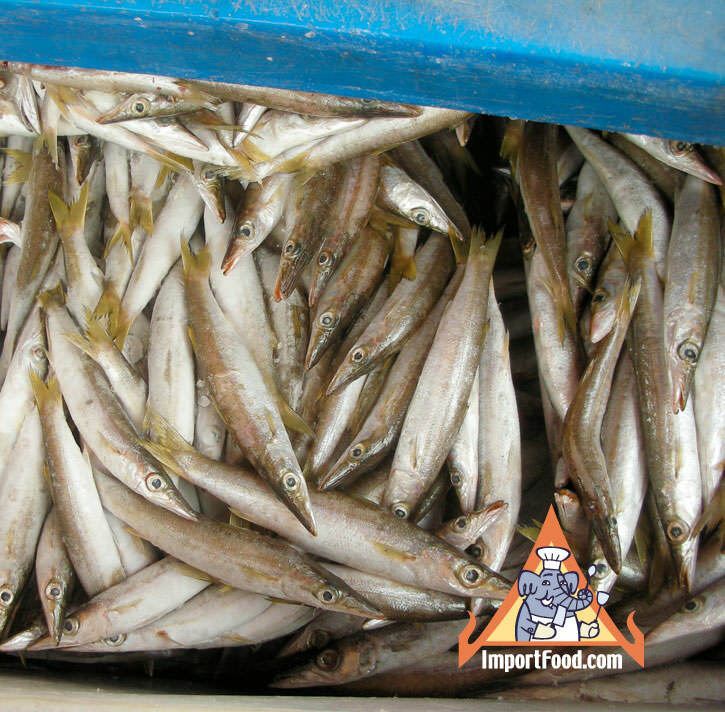 It takes 7000 kg of anchovy fish, each anchovy about 4 cm in length, to fill one of Tra Chang's fermentation tanks. 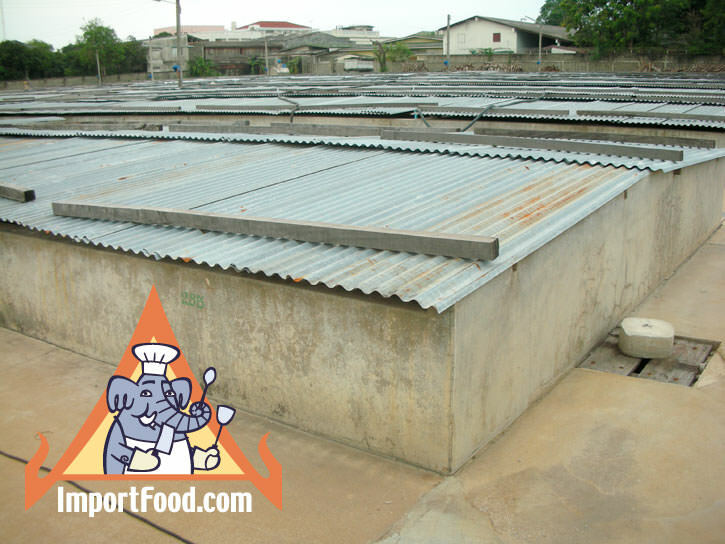 After purchasing fish at the morning market, the fish are promptly mixed with sea salt, and within hours they are placed into a sterilized concrete tank that's 2m x 2m x 2m (2m = approx 6.5 feet). The tank is covered with a sheet of galvanized steel, and left to sit for 12 months. The salt content is 27% which prevents any impurities or bacteria from entering the tank, even though the cover is not airtight. This natural, ancient system is still the best way to make the highest quality fish sauce. After 12 months of fermentation, the fish become totally hydrolized, and the fish sauce has risen to the top. About 12 inches from the bottom of the tank, there is a filter system which acts to separate the sediment. Tra Chang not only uses the freshest, highest quality raw material for their fish sauce but their fermentation tank environment is very clean, with staff doing daily monitoring and general maintenance to ensure the most sanitary environment. In addition, we only import their most "Premium" sauce which is aged for a full 2 years before removing from the tank. Once a tank's fish sauce is ready for bottling, a truck (similar to a milk tanker but a lot smaller) pumps out the fish sauce, and drives it a mile or so down the bay to their small, in-house, old-school packing facility. This place looks like something you'd find on an old episode of Mister Rogers. Here the fish sauce is filtered again, mixed with sugar (1%) and carefully bottled one-by-one in a low-volume but sanitary, closed environment. 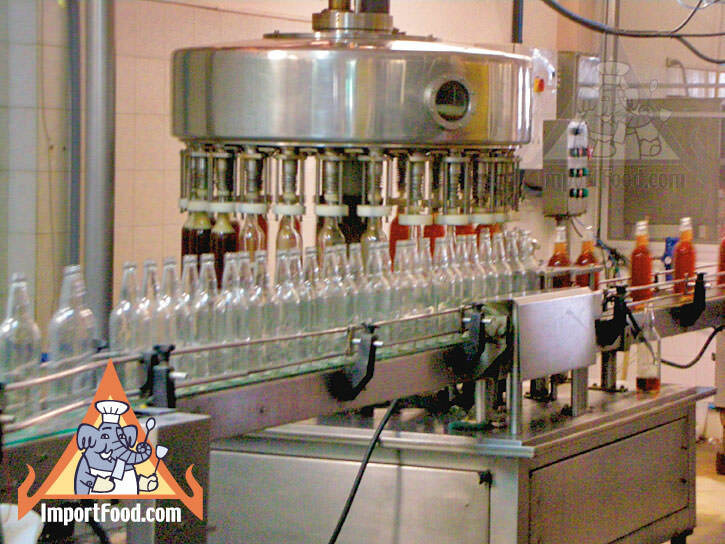 Each empty bottle, already sterilized, is run through a cleaning machine again then filled with fish sauce and capped, inspected, labeled and placed by hand in cases for export to you. Approximately 1.5 lbs of fish are used to create each delicious 7 oz bottle of Tra Chang. This brand is also popular throughout Thailand, and sold in stores large and small. 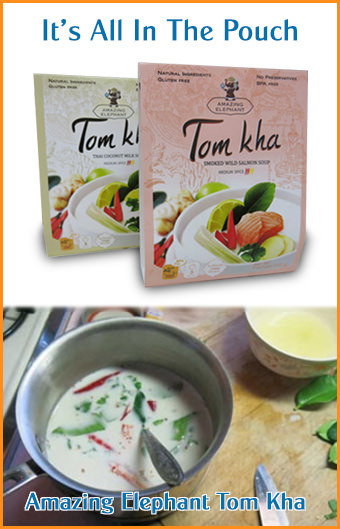 Tra Chang also produces a premium quality shrimp paste. We offer a few other brands of fish sauce here.